Mr. Boerke is an experienced professional with broad expertise in managed futures, money management, commodities hedging, and in consulting with institutional clients. He joined PRICE Futures Group in May of 2015 and heads the group’s institutional sales activities. He specializes in listed derivatives, FX, and metals markets. Mr. Boerke has an established career starting in the early 1980’s as a Broker, CME Floor Trader & Member, and as an NFA-registered Commodity Trading Advisor. Over the years Mr. Boerke has held Senior Management roles at Refco, Inc., Summit Management, Inc., TradePipe, Inc., Lehman Brothers, Inc./Barclays Capital, and Prudential Bache Commodities, LLC/Jefferies Bache Commodities, LLC. Since 2012 he has owned and operated Boerke Consulting and Investments before joining The PRICE Futures Group in 2015. Mr. Boerke currently holds his Series 3 Commodity Broker license with The PRICE Futures Group. Mr. Cai has over 13 years of professional experience in the futures and options markets with broad expertise in commodities trading and hedging, and in consulting with institutional clients especially from mainland of China. He joined PRICE Futures Group in December of 2016 as a key member of the group’s institutional sales team and plays an important role in the firm’s business development initiatives. Mr. Cai has an established career starting in the early 1990’s as a Government Official, a Professional Manager of an Import & Export business, and as an NFA-registered Broker. 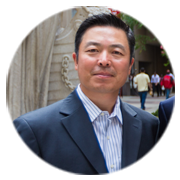 Over the years Mr. Cai has held Senior Management roles at Cargill Investors Service, Merrill Lynch, Prudential Bache Commodities, LLC/Jefferies Bache Commodities, LLC, and Archer Financials/ADM Investor Services before joining The PRICE Futures Group. Mr. Cai currently holds his Series 3 Commodity Broker license with The PRICE Futures Group.